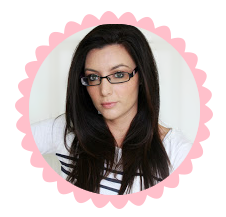 I have being pretty quite on my blog and Twitter this week. I am meant to be writing an essay for college so I started procrastinating to the maximum and decided to paint my room. Which was a major task as my room had not been painted in years. Also in order to paint my room I had to empty it and man, I have an awful lot of crap. I was completely ruthless and threw out/gave away loads of items and even listed some on eBay you can check them out here if you would like. 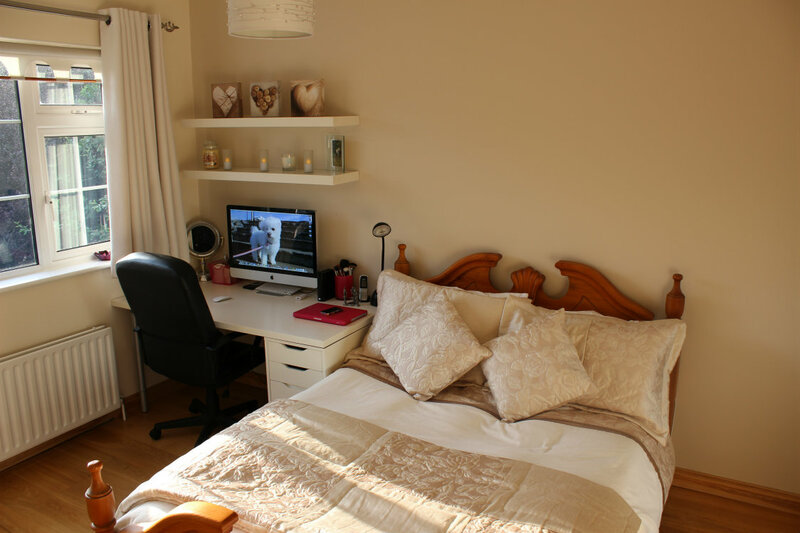 Anyway, I am delighted how my room turned out so I thought I would share a picture a with you. I wanted a really neutral theme and soft colours. After trying out 8 paint samples I decided on Wheatgrass by Crown paint for my feature wall and Ivory Homebase paint for the other 3 walls. (You can see the different shades in the top left hand corner) My bedding is from Homestore + more. It love it but the quality is not great so I wouldn't repurchase bedding from there again. The three pictures on the top shelf are from Primark ages ago but I have being in Primark lately and they have some fabulous homeware bits. My next task is to hang these pictures above my bed. The rest of my room is pretty much the same as my room tour here. I have just unloaded a lot of the junk. I am going to pop to Ikea next week and pick up another set of Alex drawers for underneath my desk and use them to store all my make up. I bought the these little trays to put inside the drawers to separate all my make up. 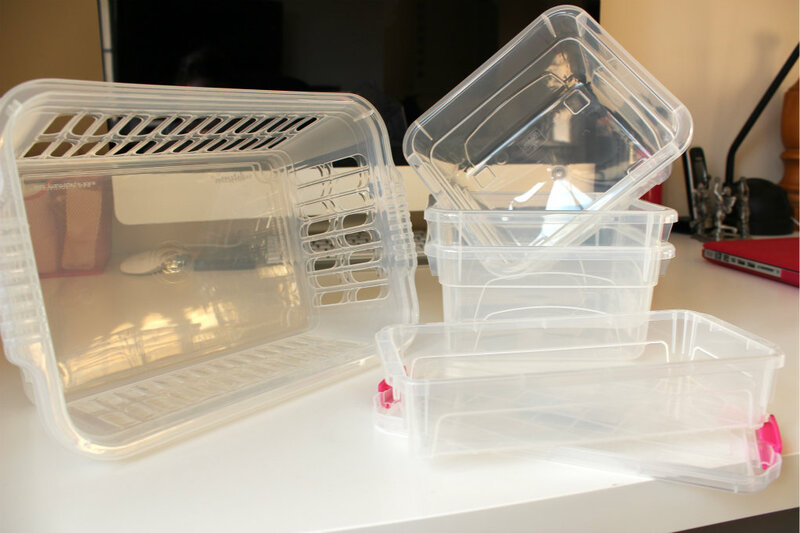 I still need to purchase smaller plastic containers but I am having difficultly getting clear ones the only ones I can find are neon pink or green. Have you done a room tour lately? Leave me a link below I would love to check it out. such a minimalistic approach it looks great! i love neutral/white bedrooms, keeps it nice and simplw! Can't wait to get round to decorating my whole house never mind my bedroom. Love the look of your blog, I'm your newest follower. Stopping by from This Girl's life blog hop and your newest follower. wow... it looks really nice!